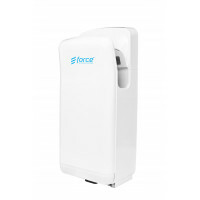 The Force Super Dry hand dryer is a fast and efficient hand dryer designed for all environments. 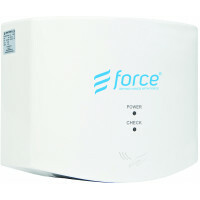 It assures almost instantaneous hand dryer, as well as impressive energy-efficiency. High-speed hand dryer airflow dries hands in 5-7 seconds. Drip tray to contain water residue. High and low speeds for energy efficiency.